PT Tugu Pratama Indonesia - TPI or referred to as "Asuransi Tugu" is a reputable general insurance company in Indonesia with strong business competencies on loss insurance services related to oil and gas industry as well as marine hull. Asuransi Tugu also provides a wide range of insurance products; health insurance, credit insurance, aviation insurance, credit insurance, fire insurance, transportation and salvage insurance. PT Tugu Pratama Indonesia is a directly-owned subsidiary company of PT Pertamina (Persero), the national energy company of Indonesia. Currently, Asuransi Tugu is 65% owned by PT Pertamina (Persero), 17.6% by PT Sakti Laksana Prima, 12.15% by Siti Taskiyah and 5.25% remaining shares by Mohamad Satya Permadi. Asuransi Tugu is based in Jakarta and its head office is registered at Wisma Tugu I - Jl HR Rasuna Said Kav C8-9, Jakarta 12920. At the end of 2016, Asuransi Tugu conducted business operations in all parts of Indonesia under the management of 6 domestic branch offices and was supported by 281 employees. 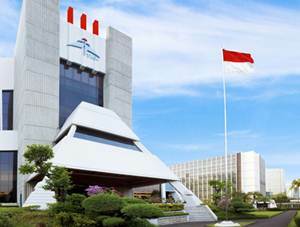 Its domestic branch offices located at Surabaya, Bandung, Medan, Balikpapan, Semarang and Palembang. Asuransi Tugu also supported by 1 overseas office at Hongkong. PT Tugu Pratama Indonesia performance achievement throughout 2016 showed satisfactory results. According to PT Tugu Pratama Indonesia Consolidated Financial Statements 2016 as cited by JobsCDC.com, PT Tugu Pratama Indonesia booked total assets of USD943.44 million in 2016. This reflected an 24.50% increase from USD757.73 million in 2015. Total revenue amounted to USD134.07 million in 2016, which represented an increase of 53.50% over total revenue recorded in 2015 of USD87.34 million. Total income for the year continue to grow to USD68.80 million from USD15.08 million in 2015. Minimum S1 majoring in Informatics Engineering, Information System from a leading university; GPA min. 3.00. Have experience working in the same field for at least 5 years. Able to work in teams, be professional and have good interpersonal skills. Have a good knowledge in the field of insurance. Familiar with computer applications especially MS Office & Internet applications. JobsCDC.com now available on android device. Download now on Google Play here. Please be aware of recruitment fraud. The entire stage of this selection process is free of charge. PT Tugu Pratama Indonesia - IT Business Analyst Asuransi Tugu Pertamina Group May 2017 will never ask for fees or upfront payments for any purposes during the recruitment process such as transportation and accommodation.